Just A Car Geek: MG 1100 - Too Far Gone? MG 1100 - Too Far Gone? I've always liked BMC's ADO16 cars. 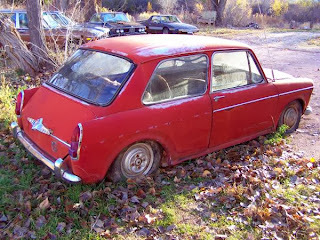 Only two were officially sent to North America; this and the Austin America. You can think of these cars as super-sized Minis. The engine is BMC's ubiquitous 1098cc A-series engine. The transmission is below the engine and shares its lubrication. The suspension is BMC's Hydrolastic suspension. The suspension was basically a canister at each wheel, connected by tubing. As changes in the road were encountered, a liquid would be forced from one canister to another. This raised or lowered the opposing corner of the car, keeping it basically level. The ride was unlike any you would find in a small car at the time. 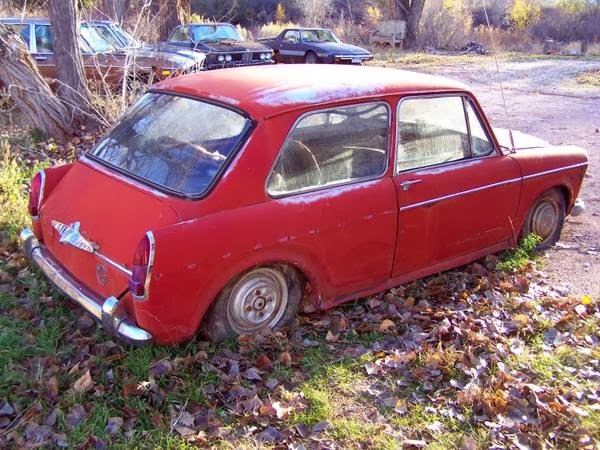 If you're extremely brave and patient (or crazy) and are interested in restoring this car, the good news is that it is missing very few parts. (The seller says the suspension is still "holding air." Yikes. 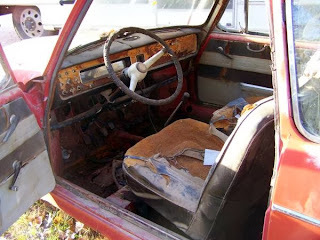 ;-) ) But, most likely its best use is as a parts car, keeping another MG 1100 alive. 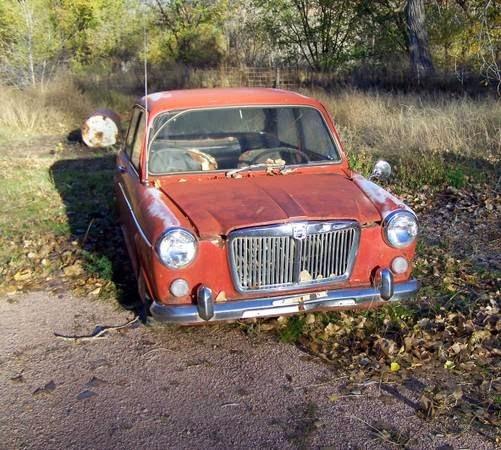 Located in Western Slope, CO, click here to see the Craigslist ad.